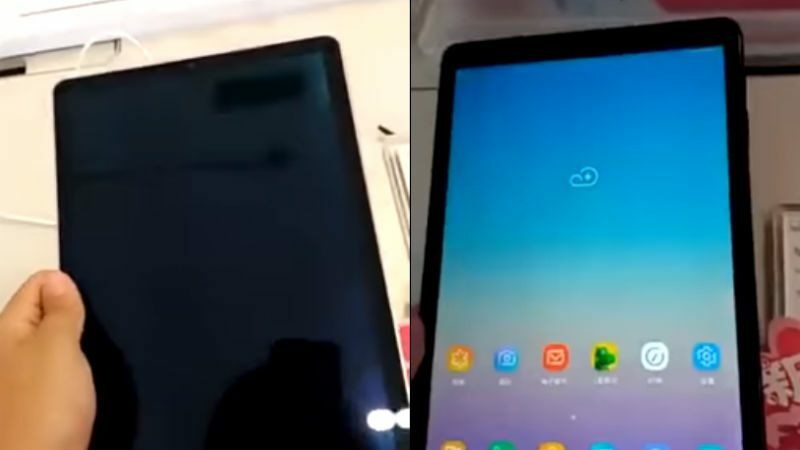 Samsung's forthcoming Galaxy Tab S4 has appeared in the wild thanks to a short video that has been leaked on the net. Although the clip is just 10 seconds long, we are given a good look at the front and the back of both the black and white models. The clip also clearly shows the new 10.5-inch form factor, which replaces the 9.7-inch size of the soon to be superseded Galaxy Tab S3. Samsung's switch to the 10.5-inch form factor follows in the footsteps of Apple, which switched from the standard 9.7-inch size of its iPad to the 10.5-inch size for its iPad Pro model. The 10.5-inch size has proven popular with Apple users looking to use the iPad as a productivity tool, particularly as the additional width allows for the addition of a full-size keyboard accessory. The keyboard accessories for 9.7-inch tablets have often been criticized for being a little too cramped. When it is launched alongside the Galaxy Note 9 next month, it is expected to be powered by a Qualcomm Snapdragon 835 matched to 4 GB of LPDDR4 RAM and 64 GB of storage as standard. Its next-generation Super AMOLED display will have a resolution of 2560x1600 pixels with an aspect ratio of 16:10. Connectivity will include Wi-Fi 802.11ac, Bluetooth 5.0 and a USB 3.1 port, possibly UBS Type-C. The battery is thought to be 7,300mAh, audio tuned by AKG while it will ship with Android 8.1 Oreo.